This 4 disk set is a resource you’ll come back to for years to come as you hone your skills and look for new and exciting ways to jump. The Double Dutch and Chinese Wheel Instructional Video is the best jump rope instructional video I have ever seen! Period! It is simple to navigate, entertaining, and filled with great skills. I used it with my team as soon as I recieved it and it was a hit! Only problem I had was keeping the kids away from the video and the remote. It will definitely help any team or jump rope group become better!! 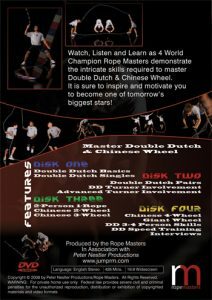 The Double Dutch and Chinese Wheel Instructional Video is the best jump rope instructional video I have ever seen! Period! It is simple to navigate, entertaining, and filled with great skills. I used it with my team as soon as I recieved it and it was a hit! Only problem I had was keeping the kids away from the video and the remote. 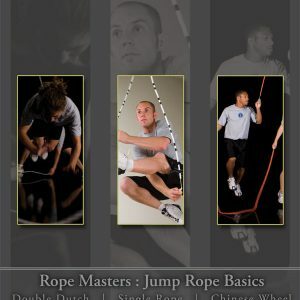 It will definately help any team or jump rope group become better!! They are SO resourceful and I use them like a bible. In fact I have one right beside me right now. My jumpers have ordered them. I keep your podcasts loaded on my ipod so i can show a jumper at anytime. We are a fairly new jump rope team in Missouri, far away from other teams. 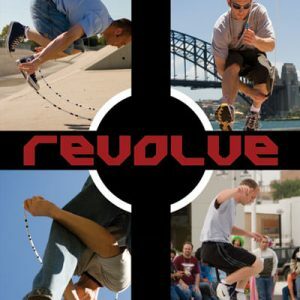 Learning all the more difficult single rope tricks, double dutch and wheel tricks means long distance travel to learn from others. We bought both of Peter’s instructional videos and they have been invaluable. When we have a question at practice on how to execute a particular move, we pop in the DVD and watch it on the spot. Peter breaks each skill down to its basic foundation and demonstrates several times how to do each part. He then shows how the trick looks once it is all put together. They are well worth the money! Our team uses this DVD at practice to learn new skills as well as fine tune existing skills. It is clear and concise and the format makes it very easy to use as an instructional tool.